Sumitec has set the standard. We offer a wide selection of products for process piping and pipe fabrication. 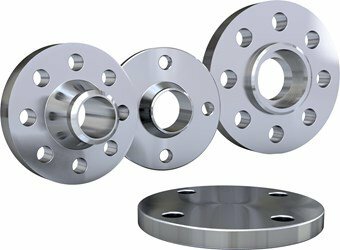 Our flanges are available in a variety of types and sizes. Small and large diameters can be ordered from sizes 2” thru 120” nominal pipe sizes. All available in both carbon and stainless steel grades. Special order flanges available up to 260” diameter. In addition to our standard products, we offer many custom products and services to meet our customer job requirements. These include; special fittings, tapped holes, special drilling, and contoured flanges and fittings. Contact us today to discuss your special job requirements. We provide dependable service and quality products from a name you can trust – Sumitec. AWWA Flanges, Steel Flanges, ANSI Flanges, Industry Standard Flanges, & more.